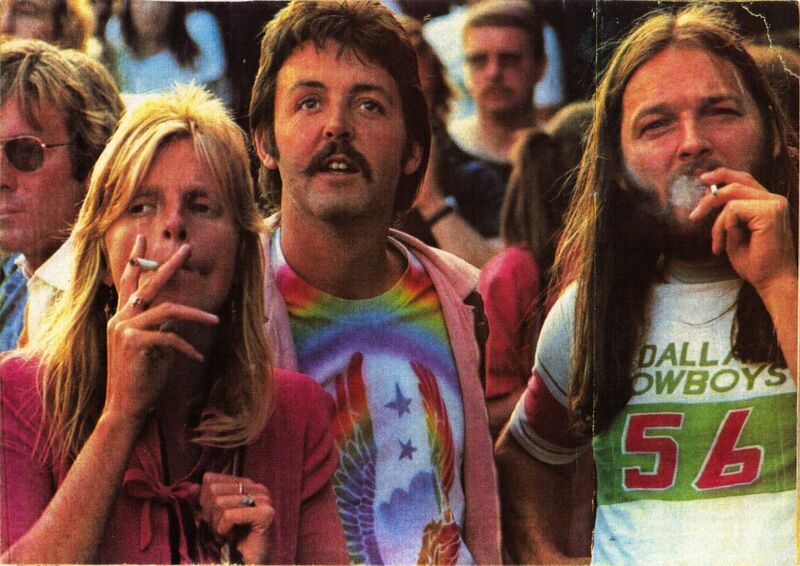 Here’s a wonderful photo of Linda McCartney, Paul McCartney and Pink Floyd’s David Gilmour. 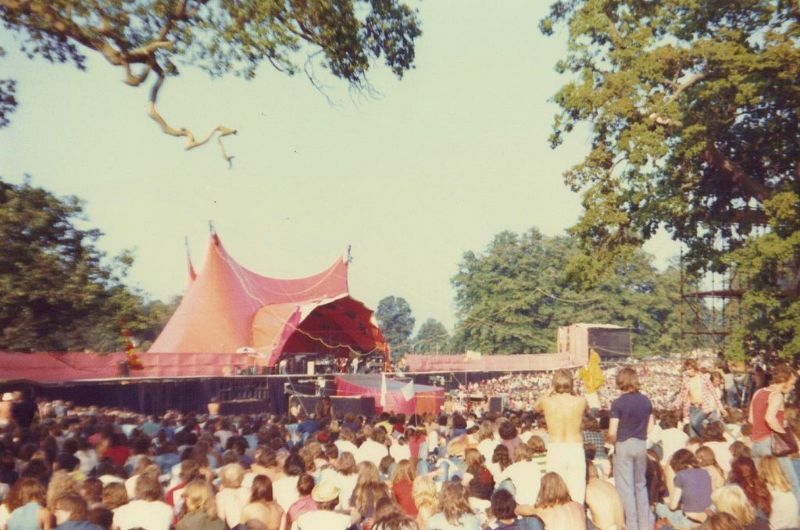 The photo was taken at the Knebworth Music Festival on August 21, 1976 headlined by The Rolling Stones. 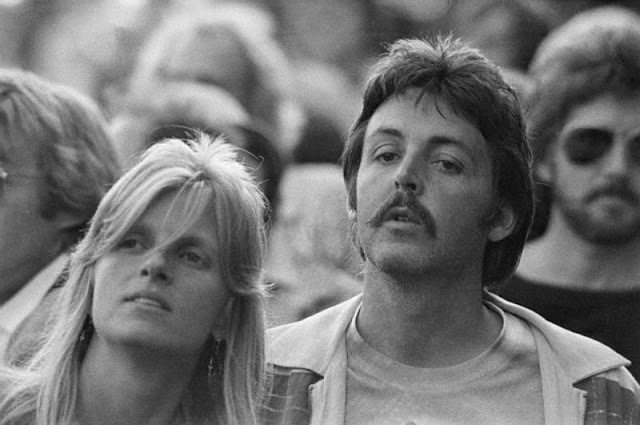 Former Beatle Paul McCartney and wife, Linda, were among the 250,000 crowd that witnesses the entertainment of the Rolling Stones on the grounds of Knebworth House late August 21. 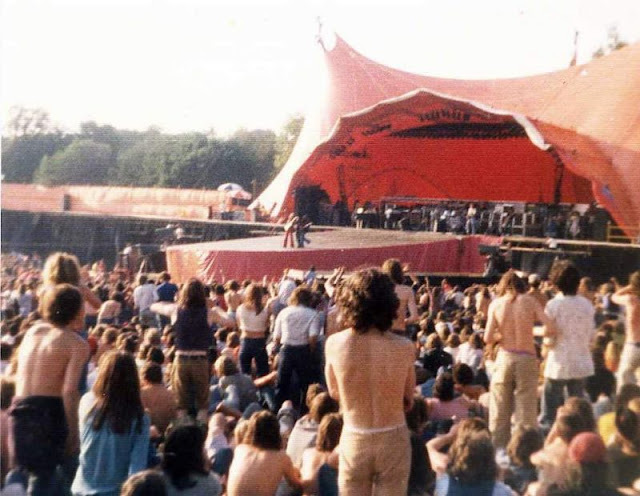 It was after midnight when the Rolling Stones finally left the stage in a British version of Woodstock – an open-air concert for the quarter of a million fans. 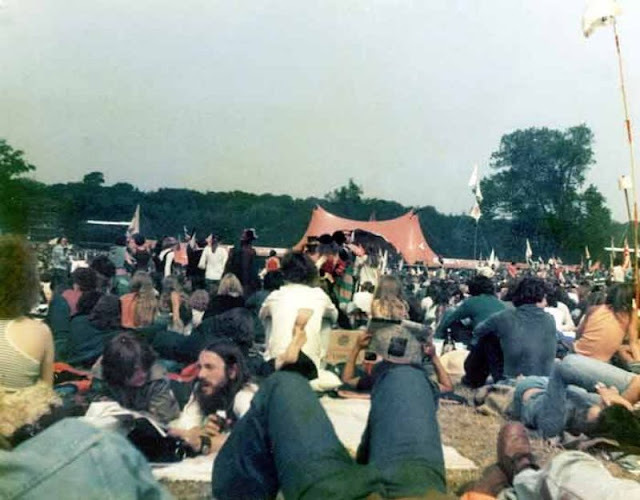 They played until the wee hours and the crowd was still dispersing at dawn. Lynyrd Skynyrd, Todd Rundgren and Hot Tuna also performed at the show. 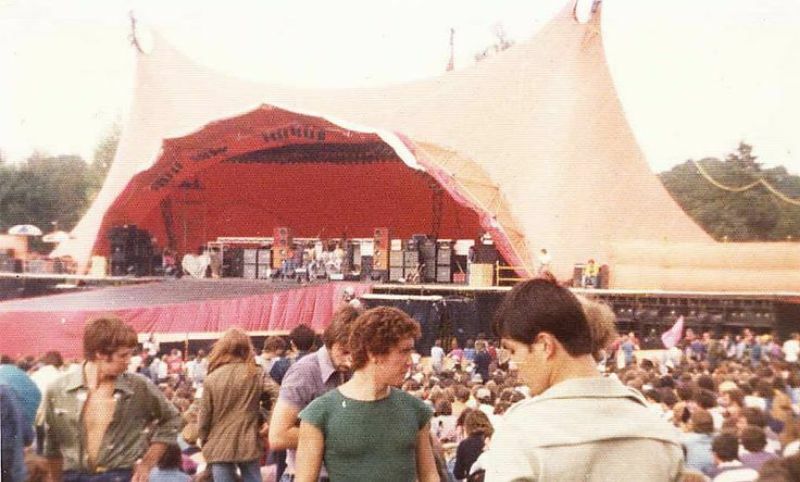 Queen was originally supposed to headline, but got bumped when the might Stones offered to play. 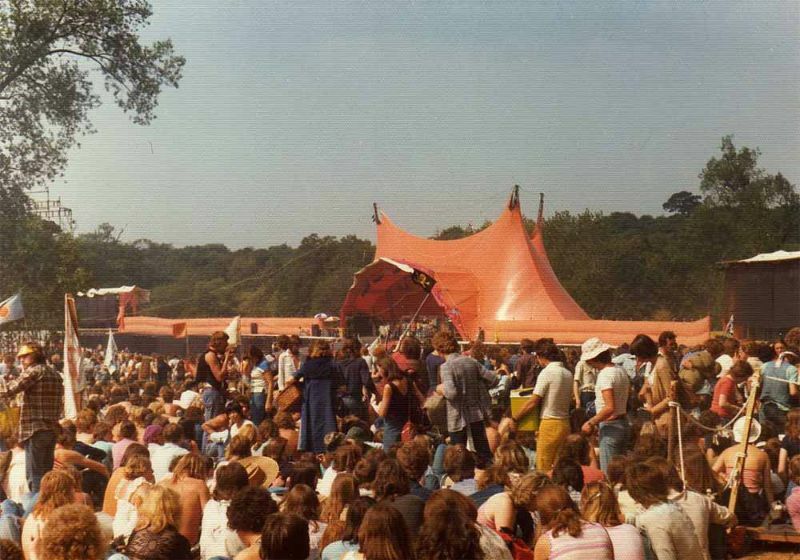 David Gilmour and Pink Floyd had headlined the festival the year before. Here are more photos from the festival. 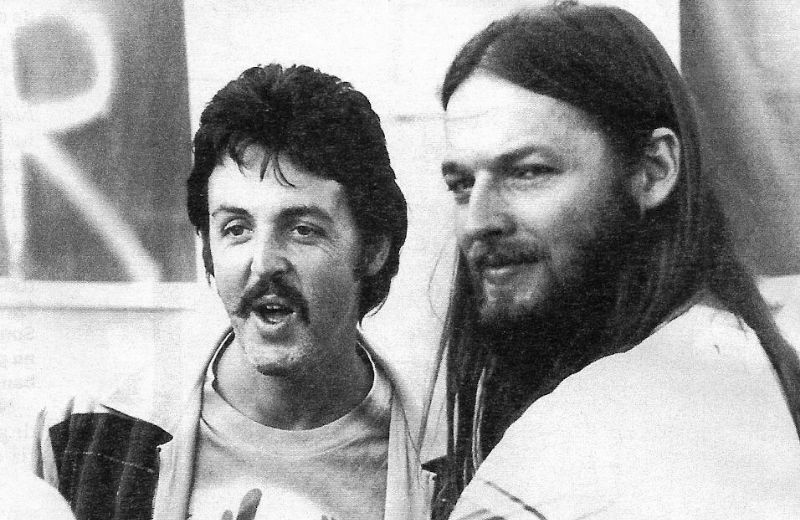 Paul McCartney and David Gilmour in the backstage at the Knebworth Music Festival, 1976. 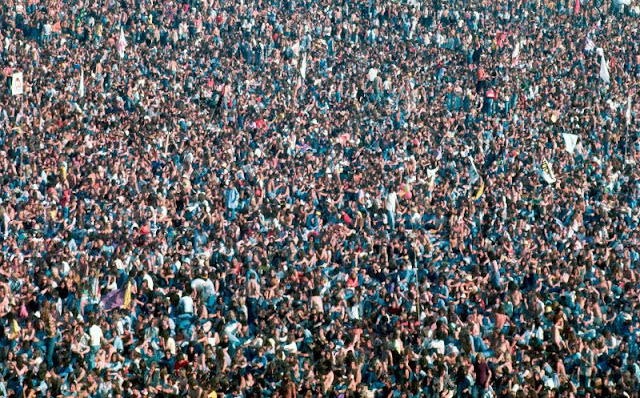 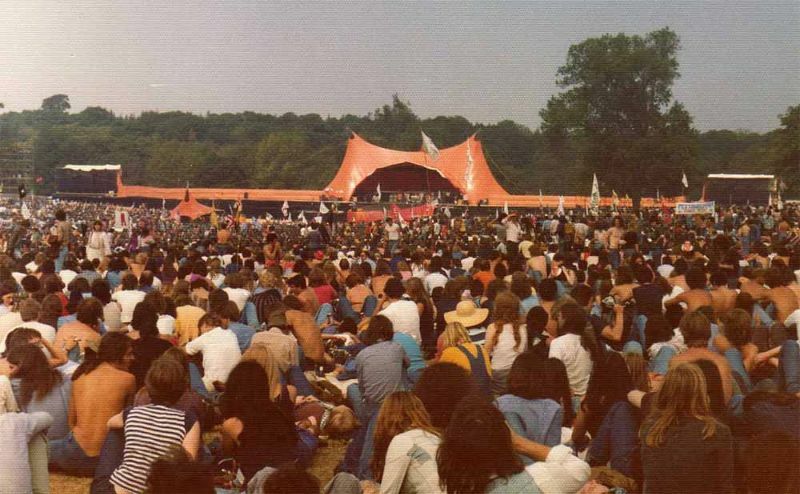 Crowds at the Knebworth Music Festival, 1976.